The Previous Chapter in The Paranormal Memoirs is here. I found three more coins inside the door to the attic, perched on the lips of the bottom steps -- two on the edge of the first step up, one on the second. I'd never encountered this result from a penny charm before. I just placed the coins redundantly above that same doorway. I crawled on all fours far enough up those steep stairs to peek across the attic floor. I don't know what I expected to see -- maybe the coins actually launched through the air toward me from a dark corner. I'd seen video footage where paranormal investigators throw stones, marbles, and rubber balls into the shadows and watch them return, right before their eyes. Seemed like this usually happens with playful child spirits. Maybe the ghosts were just playing with me. The story of my time at Daniel was significant to my becoming an intuitive by profession not only because of the actual phenomena or experiences that took place there, but because of the relationships, the associations, the pieces of awareness that began to come together (and fall apart) for me while living in that house. There are almost circular story arcs over the course of my lifetime, an inward spiraling that becomes tighter and close enough to qualify as simply overlapping. The happenings began with my brother when we were kids. They came back when we lived together again as grown men. He was the one who remembered the most. At first, I suspected that the activity I witnessed at the Daniel house was the work of a poltergeist, and many contemporary parapsychologists theorize that poltergeists are projected by adolescents -- that they are darker spiritual energies manifested by, and external to, a specific individual. I really believed either something was attached to him and he had brought it with him, or else there was something already present in the house that had taken an interest in him. I thought of it and referred to it as his poltergeist. Until he left to go on tour, and the energy I expected to leave with him stayed behind. The first night after he left, the noises started up again, just like they always did. It wasn't about him -- it was about ME. And, as if in response, as affirmation, I saw shadows behind me shift and move. I discovered that the powered-off desktop monitor acted as a darkened mirror. I watched the reflection of movement in the dim, shut-down computer screen in front of me. I began to sit at my desk for great lengths of time before logging on, just observing the gray columns of air that waved like seaweed or drapery pleats along the hallway behind me, waiting for those few fleeting moments when facial features emerged, leaning in as if to read over my shoulder. Only a few weeks after we moved into Daniel, my brother's girlfriend stayed over and woke up talking about what she'd been hearing in the night. I overheard her conversation and immediately engaged her, so she'd feel affirmed. So I would too. My brother swore he hadn't seen or heard anything (which is what first made me suspicious that it might be connected with him in some way) but he shocked me by telling her stories of the haunted Green House. We had not talked about it in years. I wasn't sure until that moment just how much he witnessed and remembered. He drew me in to participate in the narration, but he supplied most of the details. Together we told her the stories I related in the Vortex memoirs. In order to tell you about how I came to separate out the messages from spirit guides from the petty noise-making of ghosts, to discern angels from apparitions, and to be aware that there are those who walk among us guiding us who are not human, I had to tell you about Jesse, who basically announced to me that they were about to re-enter my life in a whole new way. So, hopefully you can begin to see how these rambling tales are not "random spooky moments" from my life, but all the back story I wanted to share with you that leads up to the Ultimatum from my guides. How Shift Your Spirits came to be. How everything you know of me (which is only a little bit) who I have so recently become in this world -- a professional intuitive, an anti guru, an author slash teacher of woo woo, a spiritual entrepreneur -- was not some tidy straight shot of towing the line and being a really well-behaved person. Who I have become emerged from the great wreckage of my earlier life -- you have met me having just crawled out of a ditch I first fell into while living at Daniel. It's a pretty cliche spiritual transformation biography, really -- I'm not just "special" in some way that other people aren't. I'm one of billions, all with a story to tell and a lesson to be had from it. I'm not metaphysical royalty -- I fucked it All Up royally. It all went to Hell, and I'm sure I was either navigating or driving at least some of the time. The worst life you could possibly live and the one you would most like to create for yourself -- they have remarkably similar ingredients. I came to resemble That Person that's always in each episode of the re-enactment show A Haunting, the one who seems to be losing his mind, as either a precursor to -- or the direct result of -- losing everything else. I stopped eating. I stopped sleeping. I even stopped reading books. I either unconsciously withdrew from my friends or else they abandoned me. I've never been sure if it was my fault, theirs, or all of the above... but the results were the same -- devastating. Isolating. The job that seemed to be so perfect for me, that I had moved from another state to pursue, was a disaster -- my immediate supervisor who had "clicked" with me so well during the interview process was a monster behind closed doors. When no witnesses were around, I was cruelly bullied. With a degree of viciousness that no one in that office would believe. About six months in, I woke up one morning partially paralyzed. I was forced to resign from that perfect job (after they insisted I come by the office before going to the emergency room to "prove" that I was really paralyzed). I was laid off from two more positions in quick succession. I was working with an agent who secured me a book publishing deal which soon imploded. It's a long story for another time and place. I barely escaped with my content and copyrights intact. I have never admitted it to anyone, but I feared at the time that I might be experiencing a possession. I've never said so because I don't want anyone to confuse communicating with spirit guides with possession -- they are NOT the same thing. Later, looking back, there's no confusion about that -- there were two distinctly different kinds of phenomena happening. I straddled two worlds. ---One kind threw pennies at me from the shadows in the attic, rattled cabinet doors, made the lights dim and the computer screen flip, and manifested as a coil of dark smoke in a corner of my bedroom. They contacted me just to get my attention, to distract me, or to be noticed just for the sake of being noticed. They weren't children so much as they were child-like. They punked me like teenagers in search of adrenalin ringing doorbells and then running. They were active in the night. ---The other group wanted desperately to tell me things. They were persistent, but gentle. They offered advice, commenting on practical circumstances. Their insights were inspiring and proved to be not only true but truly useful. Those voices came in the morning. You know that transitional dream state, where you are just beginning to wink back into waking awareness, but still clinging to the threads of your interior astral reality? I would come to in the midst of Conversations with People. For the next few years I would immediately lurch to the computer to record the topics of these dialogues. There was an emotional urgency that accompanied the messages. The voices. They were actual words -- clues -- most often fragmented and minimal in the word count department, but very specific. I experimented with the most low-impact, low-risk instructions -- things that involved no one else, that, if they led to nothing, nobody need ever know about but me. Strange, eccentric little tidbits of information that seemed so random when they first came through, but proved to be powerful road signs. I ran across some letters in a box from a friend I had not spoken to in over ten years. I felt so much guilt and grief, realizing how I had dissolved the connection. For years I had allowed her to believe she had wronged me. Actually, it was worse, I gave her no reason, only sudden silence. I left her to wonder, as my more recently estranged friends were now torturing me. I felt all the pain of that action return to me, with the accumulated interest of its years. It was the first time I directly asked the spirits to do something for me. "Find a way for me to get in touch with her. Just so I can apologize and let her know she did not do anything wrong." I imagined I might run across a current address online, send an email.... At best, that is. I didn't believe (yet) they could assist me by "granting wishes." The next day (the very freaking next day), I was pulled out of the house for an insignificant errand -- to buy toothpaste. This was the first time I was distinctly aware that the voices came along in the car with me, like a hushed and hard-to-hear GPS. They urged me past the closest grocery store, past a Walgreens, a CVS, and several others of their kind.... All the way across town, to a pharmacy at an interstate overpass. She was there, in the dental aisle. She didn't even live in Atlanta -- she was driving to Savannah, and had stopped at this random exit in the suburbs to buy a new toothbrush. I couldn't even begin to make her know how I knew that serendipity had been arranged. It was magic enough had it been unconscious and incidental. We are friends again, and still in touch, to this day. And every time I retrieve a message for someone during a reading, I recall how seemingly insignificant the packaging might appear to be. At first. In regards to my book deal disaster, I was told over and over again to "View Source." I would hear a very distinct male voice lean in and murmur in my left ear when I was on the computer. I knew nothing about computer programming. I thought "code" referred to some kind of math, and that computer science... well, it distinctly has the word "science" in it. It's a language, he would insist. But it is a language. And it began to make sense to me. And I looked for resources to teach me more. And it was this skill set that rescued me from financial destitution and gave me the ability to publish myself. You wouldn't know jack about me -- you wouldn't be reading any of this -- without that moment when I clicked the words "Page Source" because I kept hearing it over and over again. God! And I never would have predicted -- or believed -- that I would be here a few years later admitting that I began to do "what the voices in my head" suggested. I have now learned that this kind of alliteration accompanies names or key words that are trying to come through. You know how it feels when a word is right on the tip of your tongue? Your mind frantically feels around in the dark -- it finds the knob, but keeps fumbling for the key hole. Clairaudience feels like a sustained version of that state -- instead of seconds that soon slip into place, it goes on for minutes. Entire mornings. Like waking up with the same song stuck in your head day after day. Once the right word hits, it "lights" up, the ticker tape freezes and full sentences emerge. Back then it was words that begin with p.
Then there was my friend Paul, back in Chattanooga. He'd taken it really hard when I told him I was moving back to Atlanta. Paul had been a really successful computer programmer, but then he started drinking a lot. Drinking in secret and alone. His house was always lively with friends. He had a great deck and a garden and people congregated around his abundance. But even when neighbors stopped by in the morning for coffee, he'd be sneaking off into the kitchen pantry or the bathroom to nip something. To pop or snort something else. The one habit he had managed to quit cold turkey was answering my phone calls. I assumed he needed a little time and space to pout. I sat straight up in bed one morning, gasping like someone whose shoulders had been held down under water. The p-words stopped scrolling on Paul. They were talking about Paul. Maybe that was why the insistence on the programming and the page source code and... I knew then that he was really in trouble. I also knew that he no longer spoke to me. 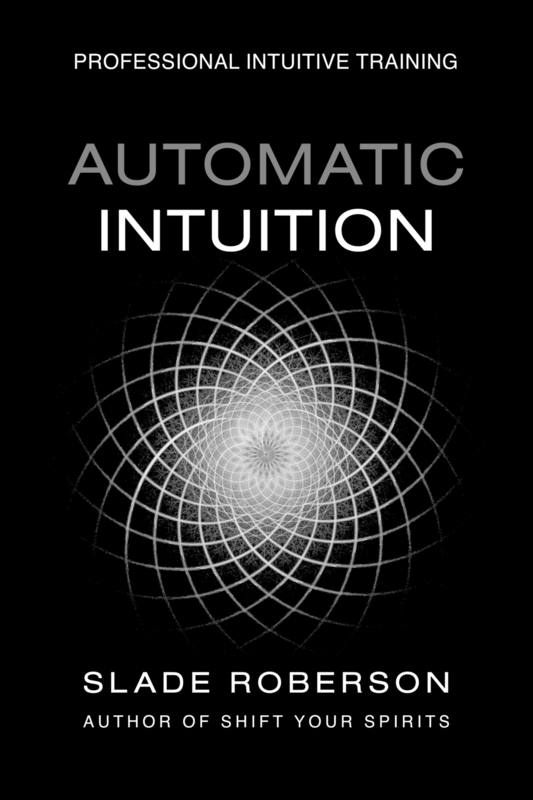 You know how, so often -- more than by any other method -- you learn to trust your intuition after failing miserably to listen to what it's trying to tell you? Hearing it distinctly and clearly, but not having faith in it. Not following through. Then something happens, and you promise yourself -- you vow -- "Next time, I will listen and I will act." I waited five days knowing something was wrong. I knew Paul wouldn't pick up if I called anyway. When Paul's roommate finally answered, he told me that Paul had gone up into the attic (several days prior) and hanged himself.